2 weeks in and looks like I’m still trying to get the hang of it. So far the most obvious side effects I’ve dealt with were headaches, flushing and itching. So the results of my MRI came in yesterday and, as suspected, things aren’t looking so good. In the two years since my last MRI I have six new lesions, older ones have grown, and there was the inflammation in my optic nerve. This means my neurologist wants me to change medication fast. A “therapeutic escalation,” she calls it. And, for once, I agree with her. I’ve always resisted moving up to the second-line treatments because of their risks. My first experience with disease-modifying drugs was with Avonex, an interferon, and that was a nightmare. Even though the injections were weekly, the flu-like side effects were unbearable. I took Avonex for ten months and there was no paracetamol that could help prevent the fever and the horrible muscle soreness that came with it. But that wasn’t the worst. Blood tests revealed my liver enzymes were high, my thyroid was malfunctioning, and the MRIs showed the disease was progressing. So in November 2012 I changed to Copaxone. At first I was worried about the skin reactions Copaxone is most famous for. I had seen pictures on the internet, and knowing how sensitive my skin is I never thought I would make it. But fortunately I got along with it well. Never had any major issues and even ended up getting used to the daily injections and carrying them around with me in ice pads when I went away. It was a nice relationship that I didn’t want to quit, but my MS is unfortunately stronger than Copaxone. So now I have to consider my options. There are no more first-line therapies available, unless I’m willing to wait for Tecfidera. At the hospital they told me more six months before it becomes available, but I’m not sure I trust that estimate. Tecfidera was supposed to be approved in 2014 and now they’re pushing it to 2015. That leaves me with Tysabri and Gilenya. They’re both much more aggressive drugs. More efficient, for sure, but also with more risks and side effects. They’re also newer. While interferons and Copaxone have been around for almost 20 years, these two are much more recent, which means risks in the long run are not fully evaluated yet. Am I scared? Yes, I am, but maybe it’s time I start taking more risks. And not because I don’t feel fine. Right now I feel like I could train for the marathon, have a baby, start a family, write a thesis, go on adventures and marvelous vacations. But at the pace the disease is progressing, how am I going to be in ten years time? I have to consider that carefully instead of relying on how I am feeling in the present. Luckily, people on Twitter have given me great feedback on both Tysabri and Gilenya. It feels encouraging to know that they are responding well to the therapies with no major problems. I have to hold on to that. 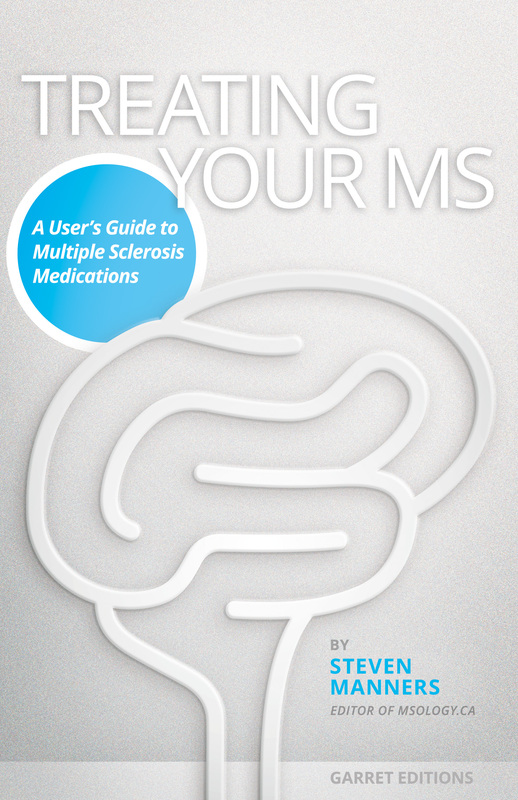 I also hold on to the countless studies that are published every month about multiple sclerosis. There are a lot of avenues open to explore, from creating vaccines to the viruses that may be connected to the disease, to investigating the leaky gut syndrome, developing remyelination drugs, discovering mechanisms to switch off autoimmune conditions, plus all the buzz about stem cells… There is a lot going on and I believe the pieces of the puzzle will come together and it will all bear fruit sooner than later. Meanwhile, my IV treatments are over and my symptoms improved, though I’m still not seeing totally clear. My neurologist said that it could still take around three weeks for the methylprednisolone to fully do its job. During these three weeks I will be thinking about Tysabri and Gilenya so we can discuss it further when I see her again in the beginning of October. I hope the side effects of the steroids will pass, as I’m feeling accelerated and having a hard time sleeping. My blood pressure is bungee jumping and my heart racing. This is all normal, but still annoying. Now it’s time to put my life back on its tracks after this interruption. Today is college night and tomorrow I’ll go back to work. I’m hoping I can see my girl friends next weekend and talk about frivolous stuff and forget about diseases. I do have a lot swirling in my head. After something like this you can’t help evaluating your life all over again and wonder about the future, about your dreams, daydreams and objectives. Oh, and the conflicts. This relapse reminded me of what is wrong with some of my relationships and is giving me an opportunity to look at so many latent conflicts. But I will leave all that for another post. Right now I’m going to get some air.